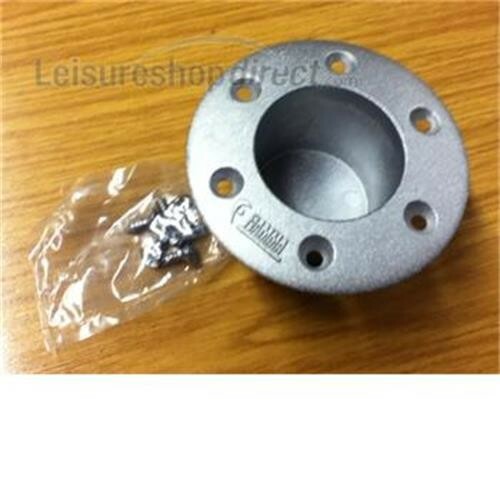 Fiamma Recessed Floor Base for Table Leg. Made of aluminium. Fitted flush to the floor with recess below floor level. Plastic cap 134298 available to cover the hole when table not in use. Overall diameter 110mm, internal pole diameter approx 58mm. Hole required in floor 65mm diameter x 50mm deep. NEW - Granular feel with glitter effect. No longer shiny chrome effect. These are very well made and smaller than others available . They look very neat and are easy to fit.